Xiaomi announced the Redmi Pro in China last year with a dual-camera setup and an OLED display. The company restricted the handset to its hometown and now it seems that a successor is on its way. Thanks to a leaked slide, we now have info on what could be the Redmi Pro 2. The smartphone will come with a brushed metal finish at the back and skip the dual-camera for a single lens with improved specs. It will feature a new sensor, the 12MP Sony IMX 362. This is a 1/2.55” sensor with large 1.4µm pixels and Dual Pixel autofocus. On paper it should be better than the 1µm pixels that are on the Mi Note and Mi Mix. Other features include a larger 4,500mAh battery which is an up from 4,050mAh unit. Expect two storage and RAM variants including one with 6GB of RAM and 128GB of storage which could cost CNY 1,800 (Rs 18,000 approx). 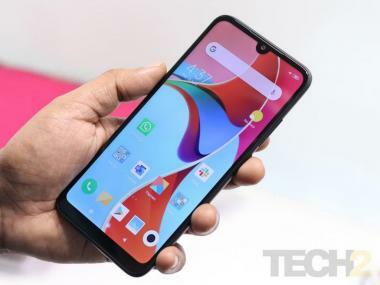 The other one would be a 4GB RAM and 64GB storage which would be the base version priced at CNY 1,600 (Rs 16,000 approx). The pricing sounds better than what it was on the original Redmi Pro which retailed at CNY 2,000 (Rs 20,000 approx) for the 128GB variant. There is no info on the chipset but we are assuming a MediaTek chipset, possibly a new Helio SoC. Expect more leaks and rumours in the near future, so stay tuned.